DETROIT (Bloomberg) -- Ford Motor Co. may report the biggest third-quarter profit in its 107-year history tomorrow as CEO Alan Mulally's overhaul of the model lineup boosts the company's share of the U.S. auto market. Analysts surveyed by Bloomberg forecast Ford will post $1.37 billion in net income for the quarter -- up from $997 million. Estimates for adjusted quarterly profit have risen to 38 cents a share, the average of 12 analysts, from about 34 cents a month ago. Ford won 15.1 percent of U.S. light-vehicle sales in the quarter, versus 13 percent two years earlier, according to Autodata Corp. Buyers are paying more on average for Ford vehicles as the company introduces new models like the Fiesta subcompact and features such as voice-activated phone and stereo controls. “It's a virtuous circle of the right products, targeted at the right customers with the right options,” said Brian Johnson, a Barclays Capital analyst. 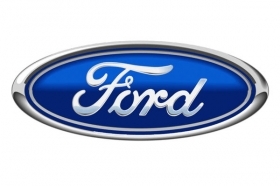 The three-month period through September was Ford's sixth straight profitable quarter. From 2006 through 2008, its losses totaled $30.1 billion as a collapse in sport-utility vehicle sales was followed by the most severe recession since the Great Depression. Mulally, who arrived from Boeing Co. in September 2006, has revived Ford by boosting quality and fuel economy in its namesake brand. Ford was the only major U.S. automaker to avoid bankruptcy in 2009 and is headed toward a second straight year of share gains in its home market amid the worst auto sales rates since 1982. The company hasn't increased market share in consecutive years since 1992 and 1993. Ford said it gained ground among young buyers and consumers on the West Coast and in the Northeast, areas that typically favor Asian and European brands. This year, Ford had 10.8 percent of the West Coast market for individual buyers, excluding fleet customers, up 0.9 point, and its share rose the same amount in the Northeast to 10.4 percent, Pipas said. In the Great Lakes region, which includes Detroit, Ford holds a market share of 19.2 percent, up 2.3 percentage points this year, Pipas said. In the Central region, including Texas, Ford carries 18.1 percent of the market, up 1.7 points. Ford has made the biggest gains among the youngest and oldest buyers, Pipas said. Through August, Ford won 12 percent of the market for 18- to 24-year-olds, up 1.4 points and scored the same gain to 17.7 percent of the market for buyers over age 75, its largest cohort, Pipas said. Ford's lowest share is with 25- to 34-year-olds at 11 percent, up 1 point, Pipas said, citing data from researcher R.L. Polk & Co.
Ford boosted profit by cutting costs by $10 billion since 2005 and limiting factory output so it doesn't have to discount its cars, Barclays's Johnson said. It also boosted revenue per-model by cutting discounts by 23 percent since 2008, according to Autodata. Buyers paid an average of $30,636 per model in September, up 10 percent from five years ago, Edmunds.com, a California-based auto-pricing Website estimates. The Fiesta subcompact, which went on sale in the U.S. in June, is fetching $3,000 to $4,000 above its $13,995 base price because buyers are ordering options such as leather seats, Pipas said. The Fiesta is commanding a higher average price than Honda Motor Co.'s Civic and Toyota Motor Corp.'s Corolla, Ford said. Redesigned versions of the Focus compact car and Explorer SUV coming next year should also generate higher prices, Johnson said. That could offset discounts Ford may have to put on its F-series pickups while General Motors Co. and Chrysler Group LLC try to sell down bloated truck inventories, he said. In the second quarter, higher net prices added $1.1 billion to Ford's pretax automotive income. Ford shares had their highest close this year at $14.46 on April 26, the day before the company reported a $2.1 billion first-quarter profit that beat analysts' estimates. Ford rose 14 cents, or 1 percent, to $13.95 on Oct. 22 and has gained 40 percent this year. Of 17 analysts covering Ford, 11 recommend buying the shares, 5 advise holding and 1 recommends selling, according to data compiled by Bloomberg. In January 2009, 1 analyst had a buy rating while 8 said hold and 3 said sell.